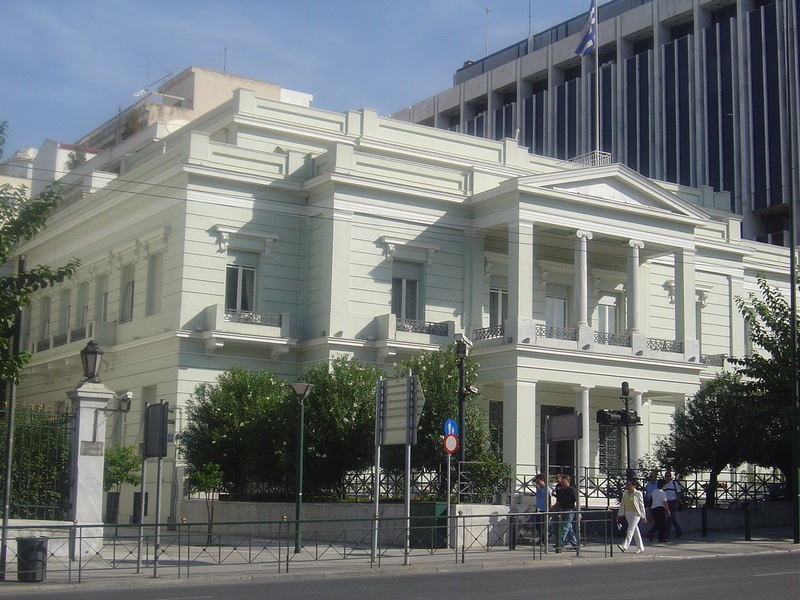 The Greek Foreign Ministry responded with a lengthy announcement to the deportations of Greek diplomats from the Greek Embassy in Moscow. The text refers to the multidimensional, peaceful and independent foreign policy of Greece, respecting international laws, building security and stability through initiatives and safeguarding the international relations of the country. Greece is a peace-loving country with a multidimensional, independent democratic foreign policy. As a sovereign state with a long history, it demands respect and relations based on equality from all countries. In this context, it promotes a policy of friendly coexistence also with Russia, a great country with a strong presence on the European stage. Within the framework of this policy, Greece steadily pursues good relations and cooperation with its neighbours, with a view to resolving longstanding problems, such as the name issue, to the benefit of itself, the Balkans, Europe and all peoples. Russia presently appears to be unable to understand Greek foreign policy’s principled positions. Since it began fighting as a comrade in arms with Turkey, providing it with a number of facilitations in the security sector, it appears to be steadily distancing itself from positions befitting the level of friendship and cooperation that has characterized Greek-Russian relations for the past 190 years. It appears not to understand that Greece has its own interests and criteria in international politics. It is in this context that one ought to read Russia’s decision to expel personnel of the Greek Embassy in Moscow. The decision by the Russian Ministry of Foreign Affairs, unlike the Greek side’s decision which was based on specific evidence of illegal and irregular activities of Russian officials and citizens within Greece, was not based on evidence. On the contrary, the Russian side’s decision is arbitrary, retaliatory and not based on any evidence. We want to remind our Russian friends that no country in the world would tolerate attempts to a) bribe state officials, b) undermine its foreign policy, and c) interfere in its internal affairs. Greece took measures only after documenting tangible incriminating evidence. Moreover, Greece never interfered or attempted to interfere in Russia’s internal affairs. It is obvious that there are some Russians – fortunately few – who think they can operate in Greece without respecting laws and regulations, and even make threats. The friendship between Greece and Russia dictates that such mindsets should be abandoned, and not the other way around. Such a case is the effort made to impose the presence of the ‘Imperial Orthodox Palestine Society’ in Greece, an organization created by the Czars’ secret services in the 19th century with a view to de-Hellenize the patriarchates of the Middle East.